Just a short drive to one of Nantucket Sounds Seagull Beach & walking distance to many of the local amenities, restaurants & cool stores. Located in a great neighborhood south of Rte 28. 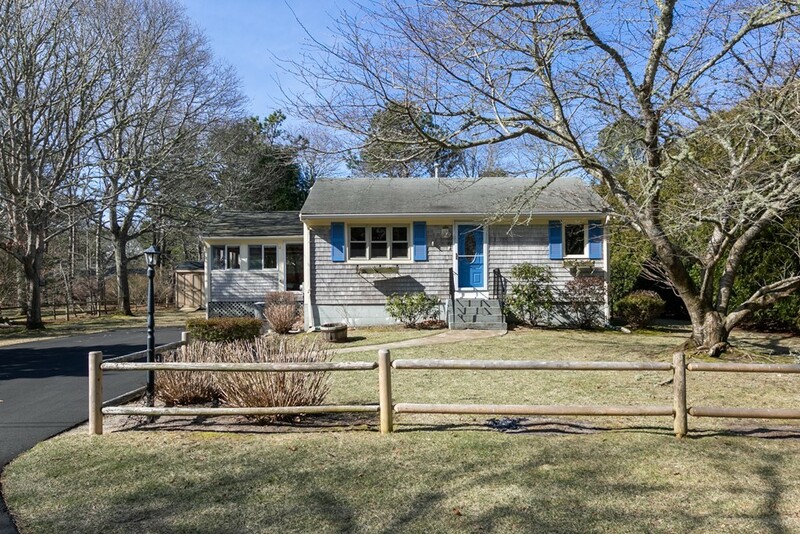 Feel the Cape Cod charm as you enter this beautiful expanded home, a great opportunity to make treasured summer & year round memories or to make a smart investment. Amenities include:awesome cathedral ceiling skylit GREAT ROOM with sliders to the driveway & another slider to the 21' family deck overlooking an oversized beautiful level back yard, large open updated kitchen & dining room, master with cathedral ceiling & double sink vanity bath, cedar closet, sprinkler system, outdoor shower, shed storage & another shed for unexpected overnight guests maybe and a full size basement! Some nearby fun for the whole family would be Cape Cod Inflatable Park, Gold Coast Parasailing & Jet Ski, Parkers River Beach, Whydah Pirate Museum, Great Marsh Kayak Tours & Wilma's Eclectic Consignment to name a few!